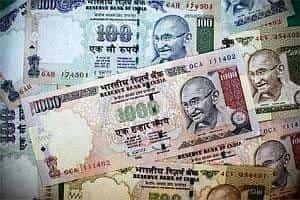 Mumbai: Infrastructure Development Finance Company (IDFC) is planning to increase the forex loan share in its overall borrowing to facilitate greater participation from overseas investors. “At present, out of our total borrowing, forex loans constitute around 8% and we plan to increase it to around 12% in the future," IDFC executive director Vikram Limaye said here on the sidelines of announcing the public issue of its tax-saving long-term infrastructure bonds. This issue is the first tranche of bonds by the infra financing firm which aims to raise up to Rs5,000 crore though such issue in the current fiscal. In 2010, the company had received the IFC, or infra finance company, status within the NBFC category from RBI. The five-year issue carries a coupon of 9%. Last fiscal IDFC had raised Rs1,451 crore from over 7.3 lakh retail investors. About total borrowing basket, Limaye said while around 63% of the money is raised through bonds or debentures, rest is through rupee and forex loans and sub-debts among others. “All of our foreign loan exposure is fully hedged and we don’t see any stress due to current fluctuations," he added. Referring to the concerns on asset quality in the power sector, he said his company did not have any exposure to the state electricity boards (SEBs). While 42-43% of total loan of IDFC is for the power sector, around 24% is to transportation and telecom sectors each. “Going ahead, the ratio may change if the policy bottlenecks continue in the power sector. However, we are of the opinion that things will improve in the future," Limaye said. IDFC had posted net profit of Rs524 crore for the September quarter, 55% up over the same period last year. Its total income rose 41% to Rs1,715 crore in the same period up from Rs1,217 crore.